MIGEON DE LA GAUCHETIÈRE, DANIEL, seigneur, officer in the colonial regular troops; baptized 6 Aug. 1671 in Montreal, son of Jean-Baptiste Migeon* de Branssat and Catherine Gauchet de Belleville; m. 31 Jan. 1712 in Montreal Marie Le Gay de Beaulieu, by whom he had two daughters; drowned 3 May 1746 near Pointe-aux-Trembles, Montreal Island. As a young man Daniel Migeon de La Gauchetière lived in France and at the age of 21 he was appointed midshipman to serve in Rochefort. He was assigned to Pierre Le Moyne* d’Iberville’s crew for both the 1694 voyage to Hudson Bay and the journey to the mouth of the Mississippi four years later but did not participate in either venture. He began military service in 1694 as an ensign in the colonial regular troops of Canada. From about 1701 he was acting as assistant garrison adjutant in Montreal. Migeon applied for the position of lieutenant general for civil and criminal affairs for Montreal in 1704, in the hope of using the legal training he had received from his father. His application was rejected, no doubt because of his fight with Lieutenant Frédéric-Louis Herbin outside a parish church the previous year. 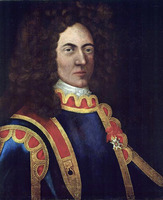 In 1707 he pledged homage and fealty to the seigneurs of Montreal Island “for the fief called La Gauchetière,” inherited from his father who had died in 1693. He acted as adjutant in the 1708 campaign of Jean-Baptiste de Saint-Ours Deschaillons and Jean-Baptiste Hertel* de Rouville against New England, and received a commission as lieutenant two years later. 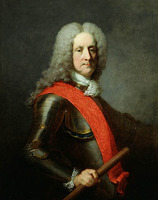 In 1712 he was formally appointed assistant garrison adjutant in Montreal and in 1726 he became a captain. 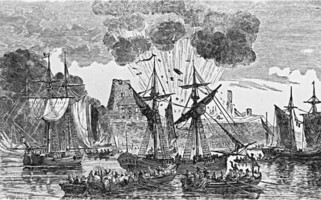 Governor Charles de Beauharnois sent him in 1730 to Fort Niagara (near Youngstown, N.Y.) to inquire into the causes of the garrison’s mutiny in July of that year against the discipline imposed by the fort’s commandant, Nicolas Blaise* Des Bergères de Rigauville. In 1733 Migeon was involved in a dispute with Philippe You de La Découverte over a debt of 3,500 livres. To ensure that he would be repaid this sum, Migeon had had La Découverte’s slave, the Comanche Pierre, seized, and this action was approved in December 1732 by the lieutenant general for civil and criminal affairs of Montreal, Pierre Raimbault*. The proceeds from the sale of the slave to Charles Nolan Lamarque went to Migeon, and there the matter rested despite the protests of La Découverte who, in defending his case, brought before the Conseil Supérieur the question of the legality of slavery in New France. Migeon was appointed commandant at Fort Saint-Frédéric (Crown Point, N.Y.) in 1735 to replace Pierre-Jacques Payen* de Noyan, and left the post the following year with the cross of Saint-Louis. He was granted in 1735 a seigneury on Lake Champlain which he did not develop and therefore forfeited six years later. Finally, at the age of 71, Migeon was appointed to assist Jacques-Joseph Guiton de Monrepos, lieutenant general for civil and criminal affairs in the royal jurisdiction of Montreal. On the morning of 3 May 1746 he fell from a bridge into Rivière des Prairies and drowned. AN, Col., C11A, 12, 22, 23, 26, 28, 29, 30, 32, 34; D2C, 222/2, p.76 (PAC transcript); Marine, B2, 88, 96, 130. ANQ, Greffe de Louis Chambalon, 26 oct. 1710. 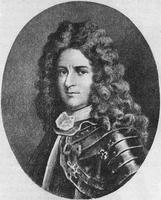 ANQ-M, Greffe d’Antoine Adhémar, 28 sept., 2, 22 oct. 1707, 16 oct. 1708, 23 oct. 1709, 29 janv. 1712; Registre d’état civil, Notre-Dame de Montréal, 1er sept. 1694. Découvertes et établissements des Français (Margry), IV, 50–51, 61, 64. Fauteux, Les chevaliers de Saint-Louis, 131. Le Jeune, Dictionnaire. P.-G. Roy, Inv. concessions, I, 191; IV, 270–71; Inv. ord. int., I, 48. Tanguay, Dictionnaire. Gosselin, L’Église du Canada jusqu’à la conquête, III, 81–82. P.-G. Roy, Hommes et choses du fort Saint-Frédéric, 164–65, 336. Trudel, L’esclavage au Canada français, 44–45. Ægidius Fauteux, “Mort de M. de la Gauchetière,” BRH, XXXVII (1931), 680–82. P.-G. Roy, “Nicolas-Blaise des Bergères de Rigauville,” BRH, XXII (1916), 261–62; “Le sieur de Sauvolles,” BRH, XIV (1908), 90. C. J. Russ, “MIGEON DE LA GAUCHETIÈRE, DANIEL,” in Dictionary of Canadian Biography, vol. 3, University of Toronto/Université Laval, 2003–, accessed April 24, 2019, http://www.biographi.ca/en/bio/migeon_de_la_gauchetiere_daniel_3E.html.